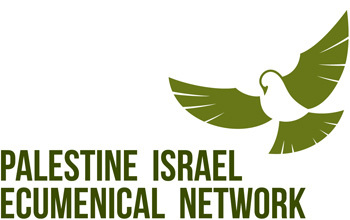 Jessica was recently in Palestine serving with Christian Peacemaker Teams. Here she shares one of her stories. This morning in our worship, we read the famous passage from Ecclesiastes ‘to everything there is a season’ (made famous by The Byrds ‘turn, turn, turn’!). This passage includes the words “there is a time to plant and a time to harvest.” It was particularly poignant as yesterday two of us in CPT spent time with Palestinian farmers replanting olive trees where an orchard had been destroyed by settlers. The village of Beit Ummar is believed to be the Biblical village of Maarath (i.e. it has been around for a very long time!) The town’s residents have a rich Christian and now Muslim history; the village has distinctly Christian ruins and a beautiful Mosque. The population is around 17,000, about a third of which are under 18, and 60-80% are unemployed. It has been described as a village where dreams come true, and is famous for its Warak Dawali (Dolma, or stuffed vine leaves). However it is also a village that has experienced many nightmares. Surrounding Beit Ummar are the Israeli settlements of Bat Aiyn and Karmei Tzur. Bat Aiyn is a religious Zionist settlement who are known for including extremist elements, and is the home for many people undertaking terrorist attacks on Palestinians including planting bombs in several schools in the area, and being found with a trailer load of explosives in Palestinian neighborhoods in Jerusalem. In 2014 the brand new outpost of Ramat HaShlosha was established nearby after the killing of three Israeli teenagers last year (see video of its establishment watched on by Israeli soldiers). Karmei Tzur is also a religious Zionist settlement, and almost a third of the settlement is built on private Palestinian land. There is also a nearby outpost of Karmei Tzur, which is not only illegal under international law but also Israeli law. One may ask why these outposts are allowed to remain given Israel’s designation of them as illegal (especially given their demolition of Palestinian homes without permits). Against this backdrop, we were invited by the Centre for Freedom and Justice of Beit Ummar which works in community development and organizes nonviolent resistance to the Israeli Occupation. 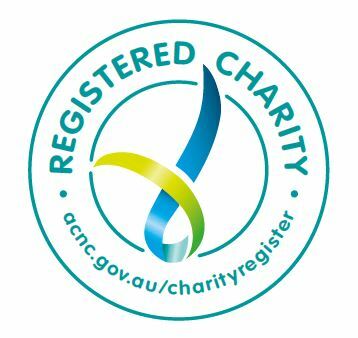 Their work is what Gandhi would have called the constructive program as well as nonviolent resistance. In one day, we got to participate in both. 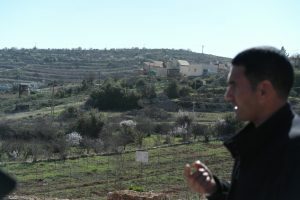 Palestinians, Israelis and internationals walked together from the edge of the village into the Adi family lands which sit in the shadow of the Bat Ayn settlement. In our arms we carried olive saplings. 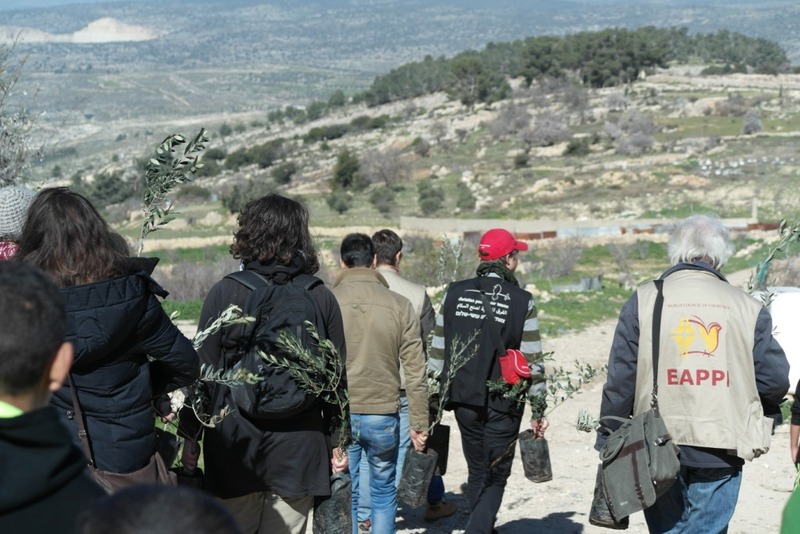 We had been invited to join the Adi family to plant the trees, as all too often accessing their lands leads to harassment and violence from either the Israeli settlers or the Israeli military. Together we planted these fragile trees, which will take seven years to bear any fruit. The hope is that these trees will fare better than the previous orchard, which was destroyed by settlers. The planting was undertaken with one eye over our shoulders, but on this day there was no harassment. We then proceeded to the Abu Maria family lands, much of which has been taken over by the Bat Ayn settlement. On the side which has not been subsumed by the settlement, there were rich groves of many different trees and vines. The Abu Maria family have sought and been granted international assistance to plant through the entire fields, as Israel often uses a 19th Century Ottoman law to designate any land that is not being cultivated as Israeli State land. The Abu Maria family wanted to use the opportunity of a broader presence to protest their loss of lands. In the last few days the soldiers and settlers have been making incursions into these fields. As we walked through their fields, we saw the ground was littered with empty tear gas canisters, and empty ammunition boxes. We accompanied members of the family and broader community up to the fence of the Israeli settlement. 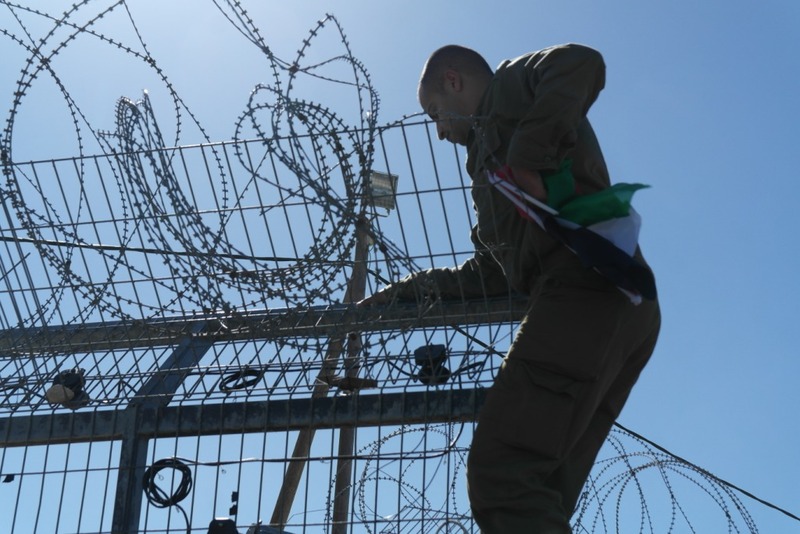 As the group reached the fence, they placed two Palestinian flags upon the razor wire that both hung above our heads and at our feet. Through the fence we could see the rest of the family’s olive groves that the Israeli settlement now claims. The settlement private security soon arrived, followed by the Israeli military. The military opened the gate, not to give the family access to their trees, but to take down the Palestinian flag. 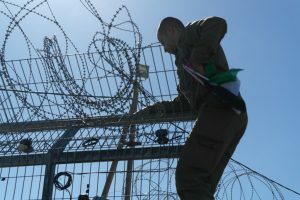 The community asked for the flag to be returned to them, but it was given to the settlement’s security, and tossed to the ground, on the other side of the fence. 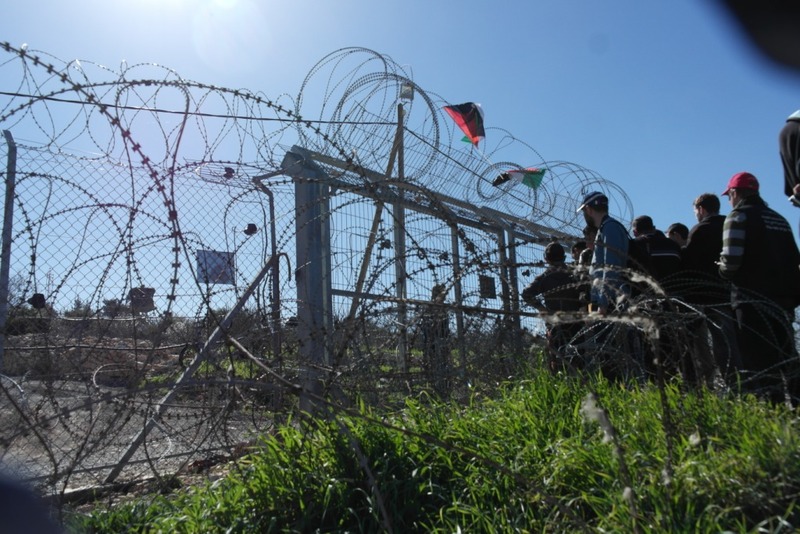 The settler security took the picture of Arafat, al so attached to the fence, ripped it up and threw it at the group. The moment seemed to symbolize so much of the Palestinian experience. The Israeli soldiers seemed restrained, and even prevented the settler security from entering the lands. However the soldiers also took photos, focusing on the young men who sat some distance from the gates. Unfortunately this action was ominous as already this year there have been 38 people arrested in Beit Ummar, half of them children and many during the night or dawn. A 17yr old from Beit Ummar has testified that when he was arrested in December 2014, the Israeli soldiers released their dogs on him who bit him while the soldiers laughed. Under Israeli military law, which Palestinians in the West Bank live under, Palestinians can be held indefinitely without charge. We hope that on the basis of these photos, more people are not vindictively arrested. In the light of all these realities, to plant a tree and to walk on ones lands is both an act of faith and an act of defiance against oppression. Every day is a time to plant for Palestinians. And they pray for the time to harvest that is not brutally cut short. 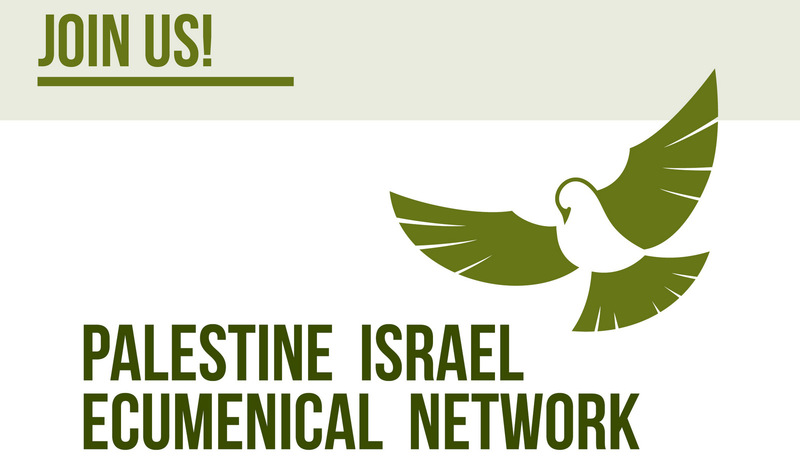 An invitation to attend our BDS policy & campaign launch!